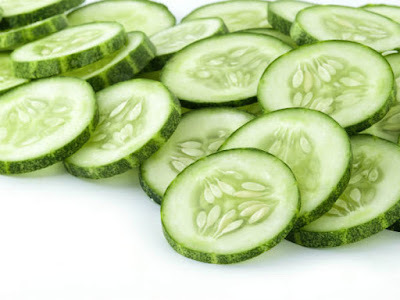 Before Subway stepped in and made even salads fancy, the 70% of the term ‘salad’ consisted of cucumbers. The ‘cool as a cucumber’ phrase exists for a reason and that is, that the cucumber acts as a coolant for human bodies. No household runs out of this green vegetable and a fruit for its excessive liking among both adults and children. It falls into both categories, fruits and vegetables because it fulfills the botanical definition for both but it is often known as a vegetable. Nature has an answer for every possible problem that a human can face, and fruits and vegetables bring more to the table than just taste or as a filler for our stomachs. 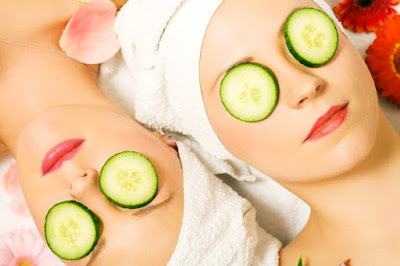 There are various health and beauty benefits as well, some of which you might know and some which we have cited for you to know and no, it is not just limited to putting cucumbers on your eyes while you have your face pack on. The most visible organ in our body is skin. Though most of us just care about the way our face looks, it is important to keep the ‘SKIN’ healthy, not just on the face but on the entire body. 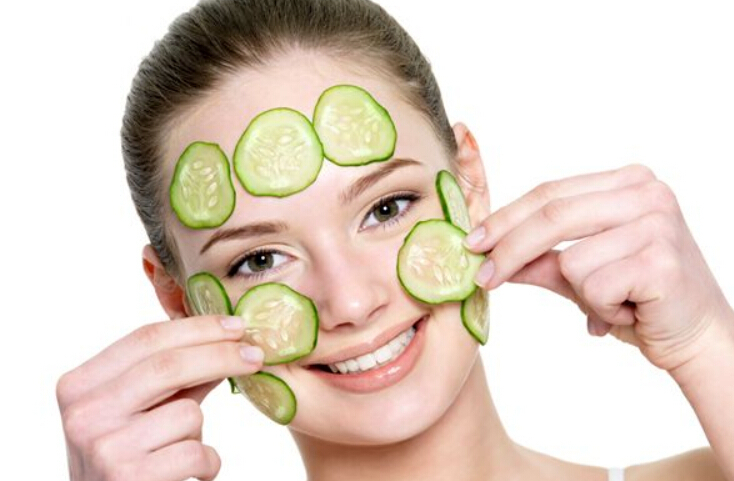 The first and the most important factor for a glowing and a healthy skin is water and cucumber has huge 96% of it. So that would lead to better hydration, no dryness and better cleansing of pores, leaving you with a beautiful soft skin. Along with hydration, it promises to reduce sun tanning and sunburns for it keeps the skin cool. It helps even out the complexion of your skin and replaces the dullness with healthy skin. The most prevalent and most disturbing skin problem is adult acne which can be stubborn enough to ruin your prime days. But cucumber has a cure for that too. It has antioxidants which help in resolving inflammation of the skin and relieve the skin from clogged pores and extra oil that damages your skin. Women with cucumbers on their eyes, while they are enjoying their spa pampering is widely shown in movies and TV shows. It is because putting this fresh vegetable on the eyes benefit the puffy eyes and dark circles. 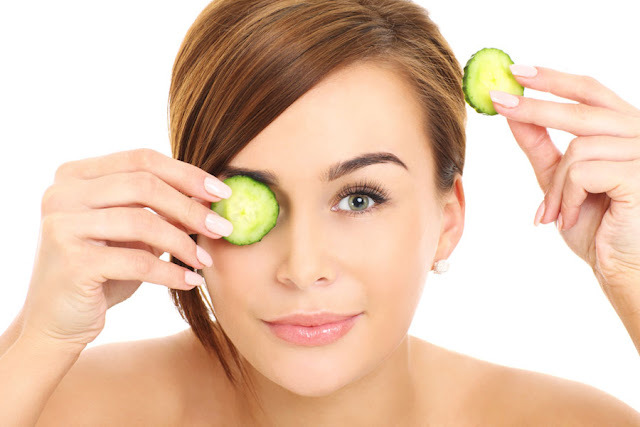 The cucumber’s freshness relaxes the tired and drowsy eyes and helps in reducing the aforementioned. Now you know! 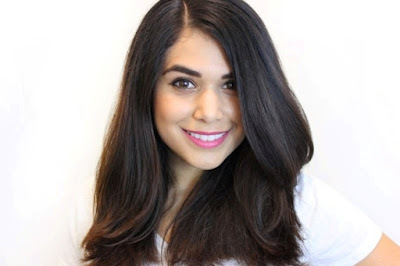 Apart from rejuvenating skin and providing an instant glow, it also marks important for hair growth. 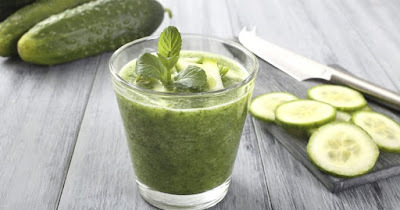 The cucumber juice needs to be applied directly to dry hair and you will soon have conditioned silky smooth hair. It might sound new, but it also can help fight bad breath. 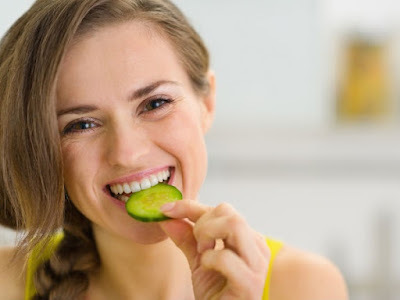 The anaerobic bacteria which is the cause of bad breath can be dissed by keeping the cucumber slice on the roof of your mouth for about 45 seconds. Eat whatever you like but make sure you eat a cucumber slice in the end. 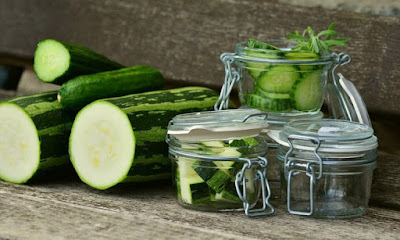 We hope that is assuring enough for you to begin eating cucumbers even more than ever now that you know its surprising benefits and advantages.